A week ago, I would have said that sounded like an infomercial pitch. And when I read up on miracle wire extensions, at first, it all jived with what I know about infomercials. Hair extensions that take 15 minutes or less to install and worked by placing a thin, undetectable wire around your head? All that can be yours for the low, low price of several installments of $19.99! Call now! Except it’s not an infomercial. It’s all true. The more research I did on hidden halo style extensions, the more I found that supported how great they were. And I purchased my first set, in 18″ layered by Lord & Cliff. My first impression of these extensions was that the hair was beautiful. Lord & Cliff uses Remy human hair, and the extension is one long piece attached with a fish-line wire, with wig clips for extra security. I learned how to wear a hidden halo type extension before trying it out by watching these YouTube videos (which do not all use Lord & Cliff’s version, but worked the same): here, here, here and here. This version uses Lord & Cliff’s extensions in it. When applying my own hidden halo, I followed the idea of pinning some of my hair up using a large clip, because I don’t have a rattail comb and thought it would make the process faster. Then, I used my comb and brush to maneuver my hair so that it covered the halo, and I used my flat iron to blend my natural hair with the halo and to bend the ends of the extensions inward. These extensions by Lord & Cliff are absolutely fantastic! The hair quality is wonderful. 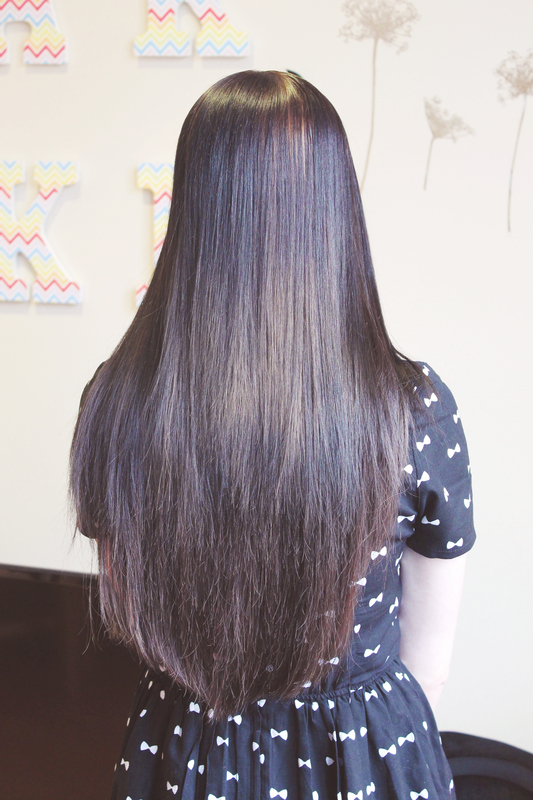 I’m an extensions aficionado, and I love the softness and thickness of this halo. It’s thick enough to look amazing, but not so thick it suffocates my head. 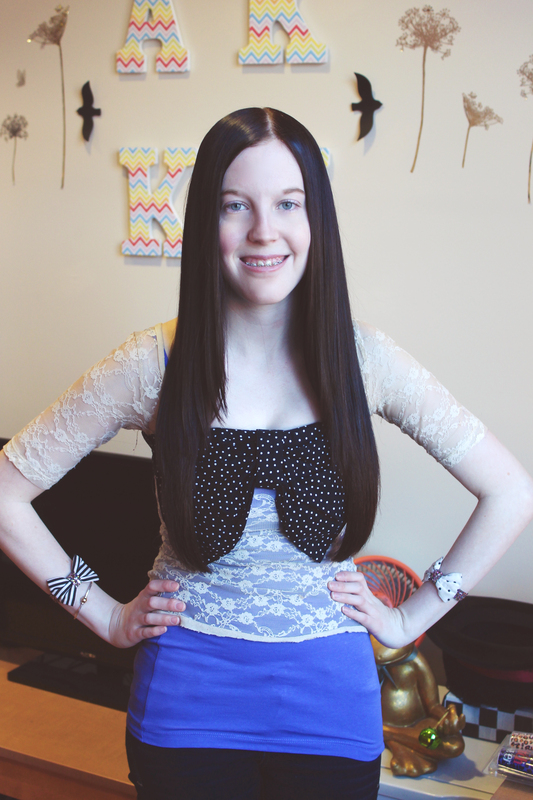 There are so many pros to wearing these extensions as opposed to clip-in’s, which I used to wear. (I purchased my clip-in’s from Vivka on Etsy, and her shop is 100% amazing.) I have not used tape-in extensions, keratin-bonded, micro loop or any others, but I have read up extensively on all the types. So far, the pros of miracle wire extensions outweigh all the others easily, and there are so few, if any, cons. They’re extremely comfortable. 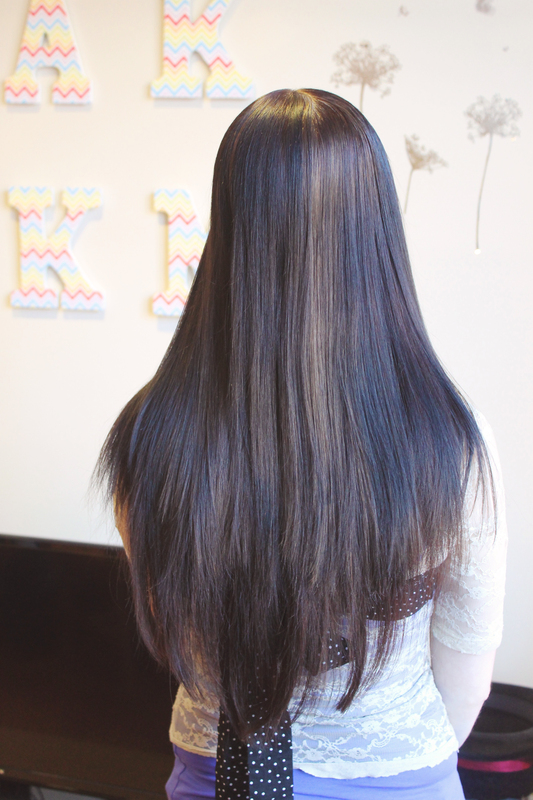 If you’re brand new to extensions, you’ll notice the extra weight and thickness of having new hair, but that’s all. If you’ve already worn extensions, there is nothing uncomfortable about hidden halos. The wire is not painful. I barely notice it’s there. They are not nearly as itchy as other types. Clip-in’s can be very itchy at the scalp after a day of wear, and I’ve read the same problems for other more permanent types. The miracle wire kind are not as tightly clipped in, because (at least on the Lord & Cliff version) there are only two clips, so there is not as much itchiness at the scalp. They won’t slip off. My main concern about hidden halos was that they would slip off. Extensions that stay on via fish-line? It sounded too good to be true. But it’s not. The wire is tight enough that they stay on, along with the weight of your hair on top of the extensions. I’ve worn them outside on very windy days since purchase with no worry that they’d fall out. They’re easy to put in. So easy. It takes me much less time and hassle to put these in than clip-in’s, and it’s easier to make them look cohesive. There aren’t 7 or more different pieces. I don’t have to remember what piece I usually wear on what part of my head. 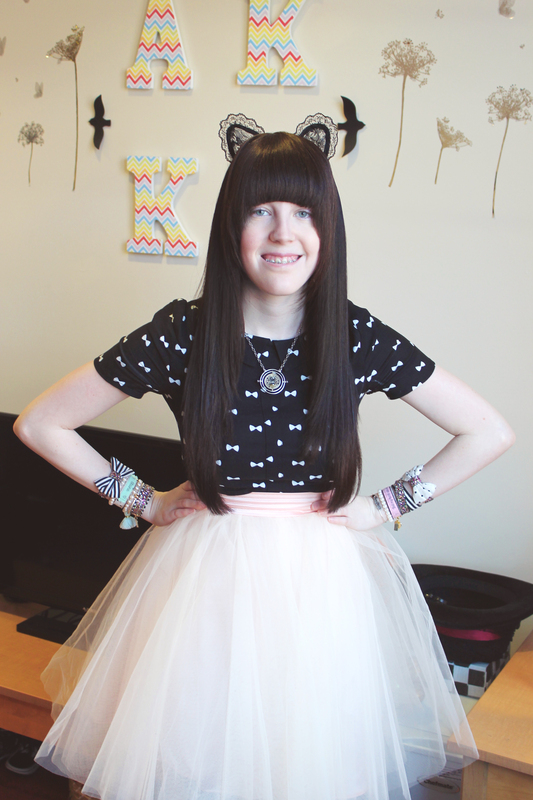 I only had to trim my halo once, and the length never looks wonky when I put it on, like clip-in’s can. They don’t damage my hair. This is the main reason I purchased a halo instead of permanently bonded extensions. Originally, I wanted a break from clip-in’s because it was taking me around 30-40 minutes to put in and fix them, and they got itchy and tiring after a long day. But I also don’t want the damage that bonded extensions cause, because I’ve been growing my hair out for 3 years. Halo extensions give me the best of both worlds–I wear them all day and they’re so comfy I forget they’re there, but eventually at bedtime I take them out. The extensions rest and so does my natural hair. They blend in easily with my hair. The main issue of clip-in’s, appearance-wise, is worrying the clips will show, especially if you have thin hair like I do. With hidden halos, this isn’t an issue, and since my hair is blended on top of the halo, it looks extremely natural. I get compliments all the time! The only con I can think of is that they aren’t on you 100% of the time, including sleep and swimming. 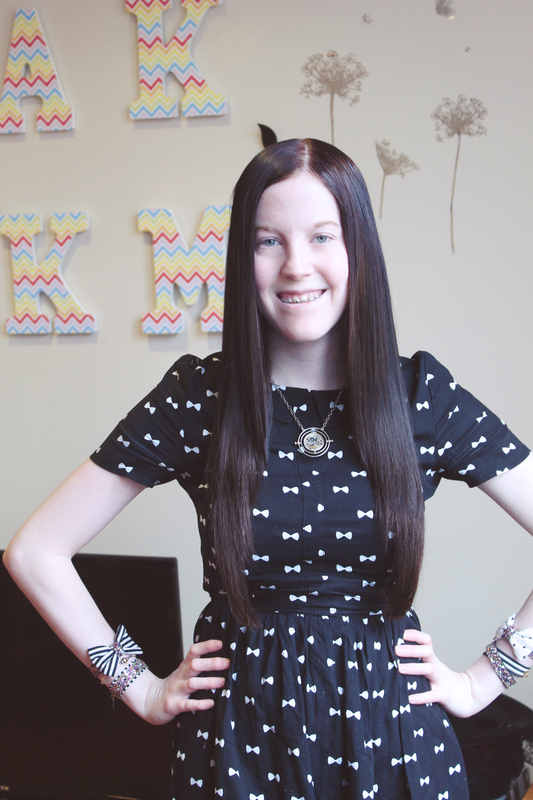 If you really want extensions that you never take off, then you should probably look into keratin or micro-loop, which seem to be the least damaging from my research. However, the hidden halo extensions seem to be the second best for this kind of wear, simply because they’re so comfortable you could wear them late into the night and not be concerned about removing them until you go to sleep (or take a shower). Honestly, I would recommend this set of extensions to anyone looking to all either length or fullness to their hair, or both. 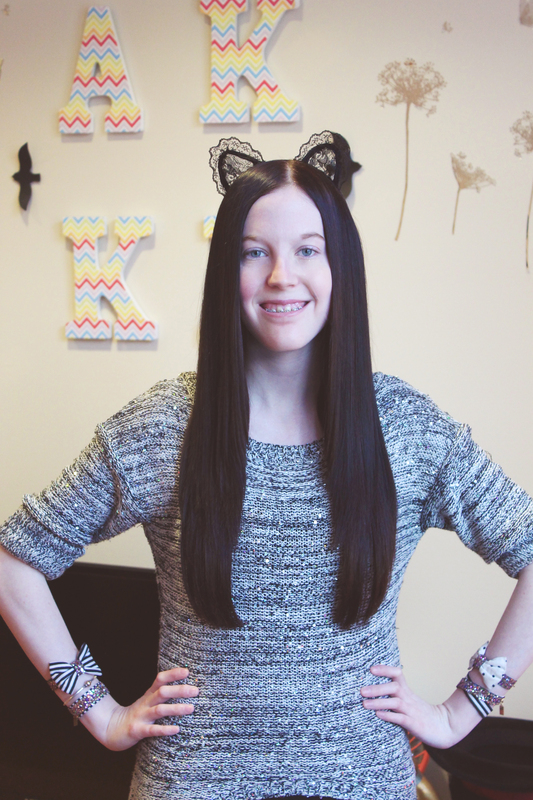 My set works for both, as I wear them to add about 2″ of length and a ton of volume to my thin hair. They are undeniably gorgeous and easy to use! If you’re considering a purchase of the same type from another shop, remember to read (and watch, if available on YouTube) as many reviews of the extensions as possible, especially if there are photos. If you’re purchasing a set from a third party seller, such as EBay or Amazon, you want to make sure the store selling them is also reliable for giving customers what they expect. You don’t want to think you’re getting a steal on expensive Lord & Cliff extensions only to find out you’re being ripped off! Put on a hidden halo and be what infomercials everywhere wish they were! I’m needing help deciding which extentions to go with hidden halo or lord and cliffs. I live in Canada so the hidden crowns are in American funds and will cost my about $900 for the two lengths I want. Any advise? I’ve actually not purchased Hidden Halo myself, but I have purchased from Lord and Cliff and also from the shop HairExtensionLove on Etsy. My experience with both have been absolutely wonderful and definitely worth the investment.